Nursing home employee background checks when they are applied properly protect the employees. Numerous states have passed laws and rules making background checks of nursing home employees mandatory. These employee background checks are designed to protect the elderly. Because of the increase in abuse and crime against people requiring these services, these laws are becoming exceptionally strict and rigorous. Unfortunately people who are disabled mentally, physically, who are advanced in years and sick are targets. Hello, I'm Yancey and what I've learned about this subject is fascinating. I've heard many horror stories about conditions in some nursing homes for the patients and employees. Since this site and page are dedicated to the employee that is the focus. In the health care hiring process background checks are mandatory. If you or someone you know is thinking about a career in the nursing home industry, make sure you know what to expect. While the focus is on protecting the at risk patients, proper background checks can produce an improved job experience for the employees. When applied correctly background checks decrease turnover because they offer additional stability to the labor force. The quality of the staff is improved an creates a more positive atmosphere. Nursing home employers or management organizations are required by law not to hire and employ you without doing an employee criminal background check. These reports are obtained from your States Bureau of Identification. By the way, temporary services also have to provide a criminal check report to the nursing home they refer you to. ...have to be immediately terminated once the employer learns about convictions for a disqualifying crime. The employers shouldn’t hire a job seeker without doing a criminal check. There are hefty civil fines and penalties for each violation. Hmm… so what’s a disqualifying crime you ask? I wondered about that myself. Here are some examples of convictions for disqualifying crimes. These are some of the most severe but there are others. Each state has varying standards and levels of penalties. Those of us who are honest, hardworking and truly care for people, a career in healthcare is not only honorable but needed. Studies show in the next 20 years a greater shortage of qualified healthcare givers and providers to take care of a larger population. There are problems for qualified job seekers and employees who understand the need for proper background checks. One of these is employers who hire unqualified workers. These can lead to high turnover which puts a greater burden on the stable employees. Congressional studies reveal there are thousands of people who shouldn’t be working in nursing homes, home health agencies and hospice centers. Nursing home employee background checks are required by every state. However, states have different levels of background checks with many precarious gaps. A registry is kept of nurse aides who have been convicted of and judged by officials as defrauding and abusing the residents. A lot of states investigate the people in their own registry of nurse aides. They don’t investigate other state registries. The majority of states require criminal background checks, but they aren’t all the same either. An employee working at a nursing home in Idaho could have a criminal history in Texas. A federal study concluded that the majority of nursing home employees deliver proper care. Nonetheless, thousands of complaints of suspected verbal, physical, mental and sexual abuse are reported each year. Employees or job seekers in the nursing home industry, here are some facts to consider. My hat is off to anyone who has been blessed with the gift of providing healthcare to those who need it. From what I’ve observed if you don’t truly care about people the nursing home industry is not for you. Everyone should be concerned about the quality of nursing home care. Investing in high quality employees should be the goal of every nursing home employer or management organization. 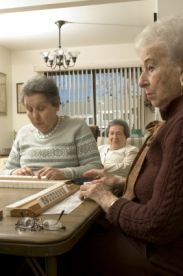 Nursing home employee background checks will probably become more important in the coming years. Things like low wages and benefits, turnover, low morale, and poor working conditions indicate the lack of quality. 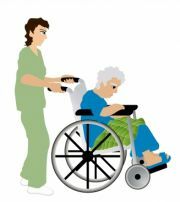 People, who are employed or want to work in the nursing home industry, are faced with some challenges. I believe nursing home employers will have to improve the aforementioned issues if they are going to attract and keep a quality workforce. I have a questions and answers page that I routinely update. Please feel free to contact me with your comments and opinions about how this site can better serve you. My other sites provides the MOST current changes affecting career seekers and employees. Some employers are constantly working to take away the rights of employees. Follow this link to EMPLOYEE RIGHTS GUIDE, EMPLOYEE WORKPLACE RIGHTS and EMPLOYEE RIGHTS QUESTIONS for the latest employee news you can use! The easiest way to learn more about Nursing Home Employee Background Checks, is to simply enter your search term in the Google search box below.